The Hispanic Helping Organization at Watkins Mill hosted a two-hour event to commemorate the end of Hispanic Heritage Month on Thursday, November 1 in the cafeteria. The celebration started at 6:30pm and had multiple showcases providing insight to the culture. Performances included poem recitals, songs in Spanish, folk and modern dances, and a fashion show displaying traditional clothing. “It was great to see [students] work towards a common goal with so much dedication and effort. The event allowed them to share a part of themselves with so much pride, and their performances really highlighted their joy and love for who they are and their cultures,” Spanish teacher Reina Flores said. Students also put together a theatrical performance of a play called “Los Pantalones de Papa,” meaning “Dad’s Pants.” The play was presented in Spanish and English. Students translated the dialogue in both languages to accommodate those who didn’t speak one of the languages. The play was specifically chosen to highlight the shared values in Spanish and American culture. “It’s important for people to recognize what they come from and know how to embrace their similarities and differences with others, it just really showed the talent and diversity [at Watkins Mill],” junior Rut Bonilla said, who was also a part of the fashion show. People were able to walk through expositions of Spanish countries and taste customary refreshments. There was no budget for the event. All decorations were hand made by student volunteers using materials provided by their supervisors. “Volunteers were a crucial part of the event… I feel really proud of all the students who participated and how everyone came together. The students who participated demonstrated they are open-minded and caring, risk-takers,” Flores added. 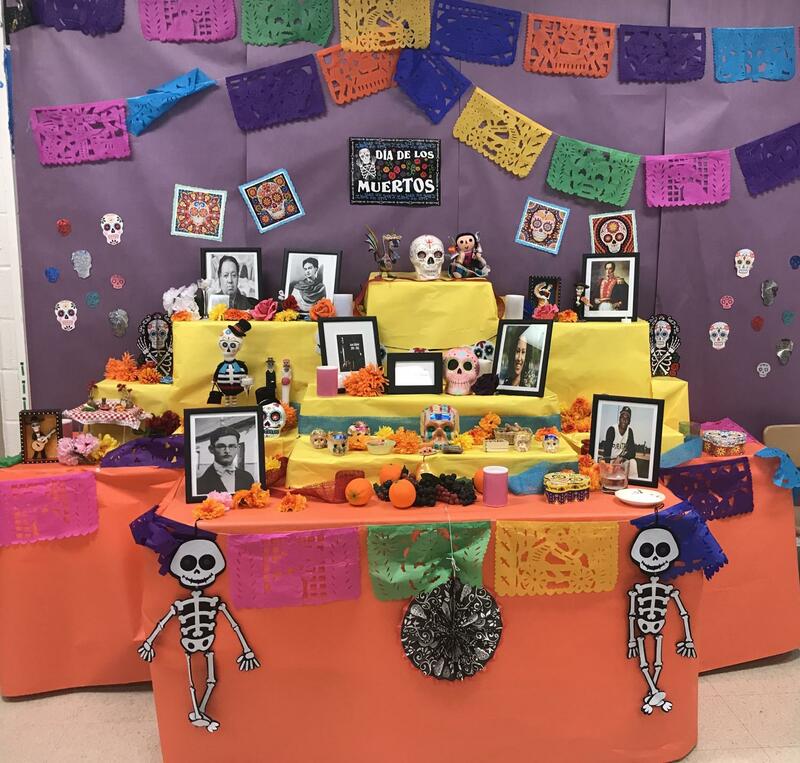 The Wellness Center, Bilingual Committee, staff, and students teamed up to bring the function to life. Students executed the plan as staff oversaw the entire process. The occasion was planned to provide an opportunity for the student body and their families to come together and celebrate their culture. The Hispanic Helping Organization hopes to make this an annual event at the Mill.